The accumulated wisdom of the masters! Want to accelerate your coaching development? Then we share those interviews with you. Think of it as a library of volleyball coaching wisdom, insight, and experience. We already have over 40 interviews done and expect loads to come in the future. 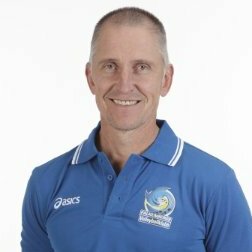 Australian National Team Olympic coach. Canadian National Team coach. Winner of 2 Euro Cups coaching professionally. Winner of 2 league titles and 3 Cups in Romania. Winner of 3 National Championships and nearly 700 NCAA collegiate matches in 39 seasons. 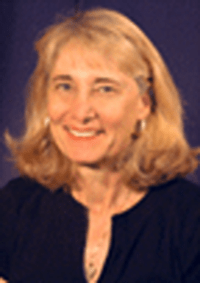 AVCA Hall of Fame inductee in 2006. FIVB and USAV coaching instructor. Multiple book author. Winner of 2 CEV Champions League gold medals, plus an FIVB Club World Championship. Head coach of the Dutch Women’s National team in the 2016 Olympics. Multiple time Italian Coach of the Year. NCAA Division I national championships with two different universities. Multiple 2-year college national titles. US Women’s National Team Olympic coach. AVCA Hall of Fame. 2014 World Championships bronze medalist as German National Team head coach. Four league titles, 5 Cups, and 4 Super Cups in Belgium. Two CEV Cup medals. Winner of 26 domestic men’s and women’s championships in his native Sweden, 15 in Belgium, and 3 in Greece. Reached the CEV Champions League Final Four on four occasions – 2 finals. Coached the Swedish National Team to silver at the 1989 European Championships. 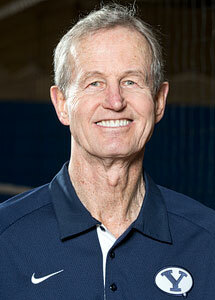 Over 40 years experience in the USA National Team program; 13 seasons as head coach at BYU, winning 2 national championships; Swiss league and cup titles; AVCA Hall of Fame. More than 600 wins at the NCAA Division III level, with 19 straight trips to the NCAA tournament, with 4 Final Fours and a National Championship. Her players have earned 40+ All-American selections. Winner of more than 20 domestic and international titles coaching professionally in Sweden. Head coach for both the Swedish Women’s National and Junior National Teams. … coached at every level from youth and Juniors, to high school and college, to professional and international. If the coaches we’re interviewing for the project think it’s a great resource for themselves, imagine what a game changer it could be for you! Normally, to hear coaches like this talk you’d probably have to spend $200, $300, or more to attend a seminar. You might have to take time off work. Almost certainly you’d have to travel – maybe spend a couple nights in a hotel. And that’s just for a couple of them at one event! Think about being able to listen to not just a handful of great coaches, but dozens of them, sharing their experience and insights when you want, where you want. It’s like going to a seminar on your schedule, anywhere you want – and being able to go back again and again! No big event fees. No vacation days used. No airfare or driving expenses. No expensive hotels. You can get total lifetime access right now to every interview we’ve conducted, and every one we’ll record in the future all for one flat tuition of just $197. That’s less than $4.60 per interview, and it will go even lower as we add more interviews. How much do you pay for coffee each day? This is a crazy low tuition for all the great information and insights you’ll be getting from even just the coaches we’ve interviewed so far at this early stage. The value is only going to increase as we add more and more! Plus, you get to listen and re-listen to the interviews as many times as you like. They’ll be yours forever. Is $197 a bit too steep for your budget right now? We know coaching doesn’t always pay very well, if at all. So we have an alternative. For just $9/mo we’ll provide you with two new interviews each month. Same awesome content. Just parceled out more gradually over time. And you’ll have permanent access to each interview. If this option suits you better, sign up now by clicking the button below. Note: A PayPal account IS required for the monthly option.